RabbitMQ is the most popular free and open source message-queueing or message-broker software. RabbitMQ is the most popular free and open source message-queueing or message-broker Software. RabbitMQ originally implemented Advanced Message Queuing Protocol (AMQP). It also supports protocols such as STOMP (Streaming Text Oriented Messaging Protocol), and MQTT (Message Queuing Telemetry Transport). Generally, message-broker software is used for sending and receiving messages between various kinds of distributed services, systems or applications. 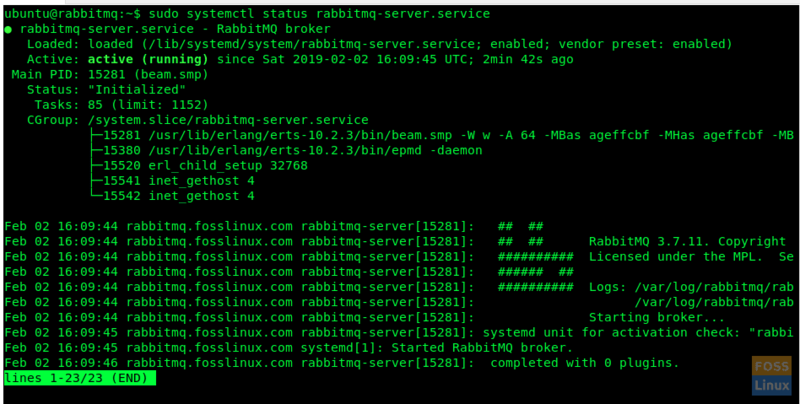 In this tutorial, we are going to show you how to setup RabbitMQ on Ubuntu 18.04 (Bionic Beaver). sudo apt-key adv --keyserver "hkps.pool.sks-keyservers.net" --recv-keys "0x6B73A36E6026DFCA"
Add following repositories to file. 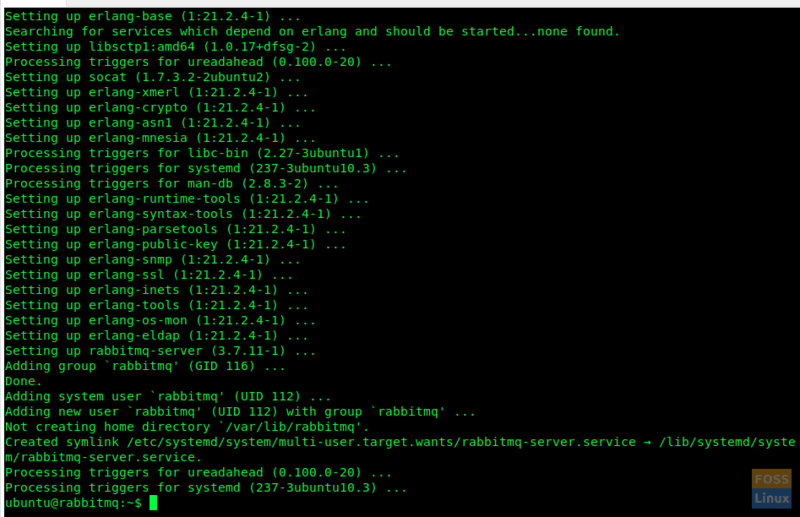 Enable RabbitMQ service on system boot. RabbitMQ management console runs on port 15672 and it needs to be granted permission via the firewall. After a successful installation, we can access the web management console and it runs on “15672” port. But by default, ‘Installation Management Console’ plugin is not enabled. This plugin is needed in order to monitor and manage the RabbitMQ server. It is also used to monitor queues, message rates and manage queues, bindings, and users etc. Let us see how we can enable the ‘Installation Management Console’ plugin. But before we do that, let us take a look at all the RabbitMQ plugins that are available. We can access the Management console using the default guest user. But we need to create and add a new Admin user to access Management console. Here we create a user with username ‘admin’ and password is also ‘admin’. But I would recommend using a strong password for security. You will be able to view the console login window. Then use the already created admin username and password to access the dashboard. You have successfully installed and configured RabbitMQ server. If you have any issues or questions feel free to ask in the comments section below.